CH. L.C.JEMS RUNNIN ON EMPTY TRICOLOR IMP.USA. VET. 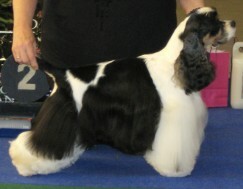 CHAMP –WORLD VET. CHAMP.